These cookies really are the ultimate and I'm so excited to share the recipe with you! Chocolate and peanut butter is a combination I never seem to get tired of - it's just total heaven! 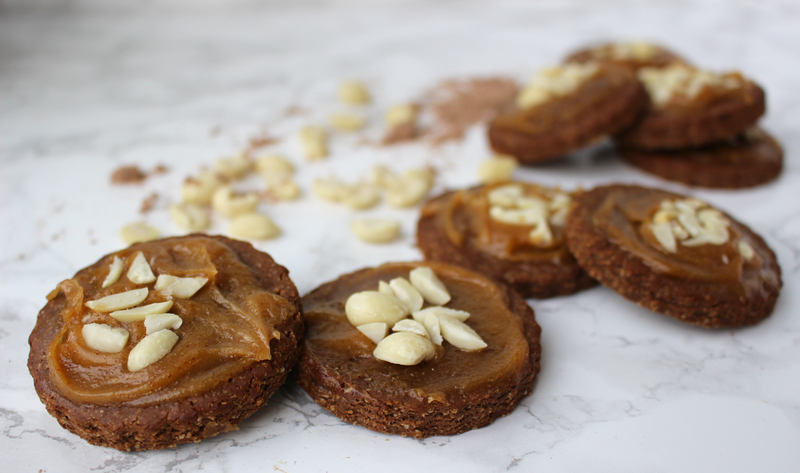 These Chocolate Protein Cookies with Peanut Butter Frosting are no exception; the taste is dreamy and the texture is perfection, plus they're pretty high protein thanks to the chocolate pea protein I used. I adore the combination of crunchy yet slightly chewy cookie with the contrasting smooth, gooey peanut butter frosting and the crunch of the peanuts on top. These cookies are flour-less too as I simply blended oats (this keeps costs down too!) with chocolate protein from Nutristrength, coconut oil, maple syrup, peanut butter and almond milk. The frosting is purely peanut butter, maple syrup, vanilla extract and a splash of almond milk. Simple. 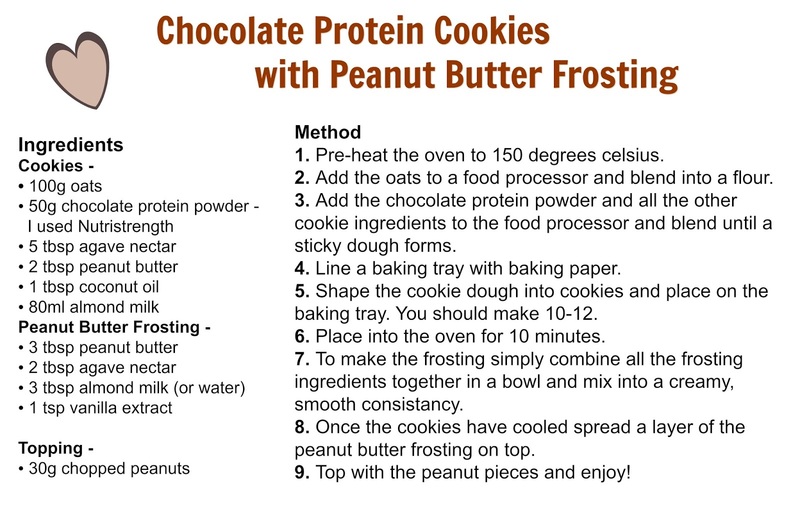 I added Nutristrength's Roasted Cocoa Pea Protein to these cookies, not just to give them a boost of protein but also an amazingly rich chocolate taste. 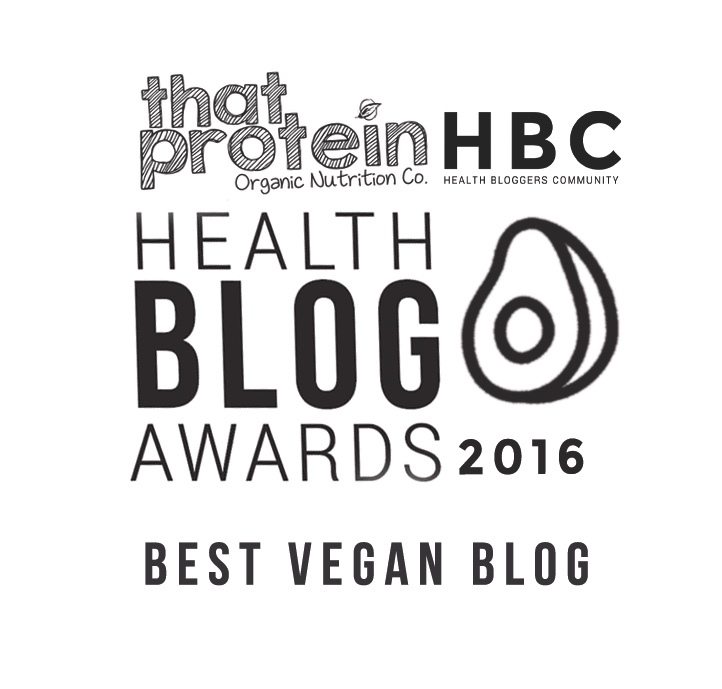 Pea protein is probably my favourite form of vegan protein as it doesn't have a strong taste like hemp protein, it blends really well with other ingredients and isn't too sensitive to heat so is a great option for baking. 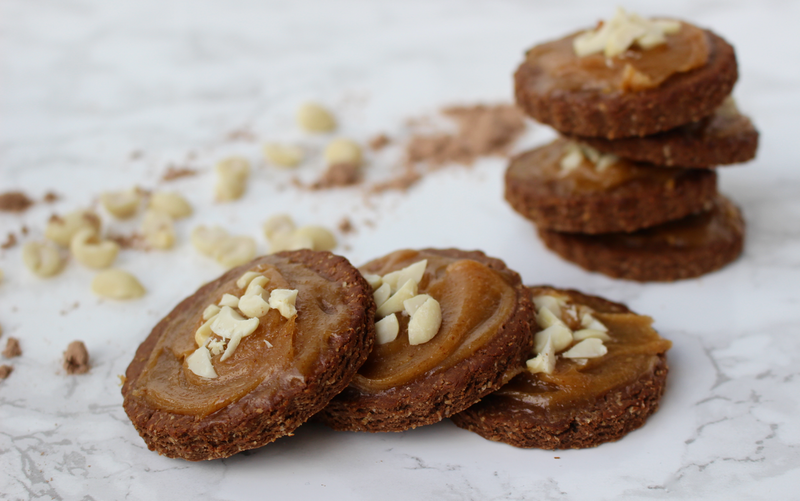 Nutristrength is a brand I've been a fan of for a while - you might remember by vanilla protein fudge recipe with their vanilla protein - and I'm so excited to be sharing another delicious recipe using their fantastic product with you. Nutristrength have a wide range of protein products so are definitely a brand to check out! 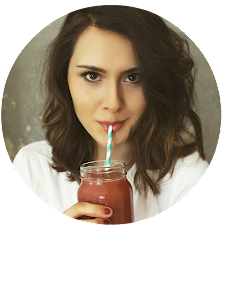 If you're attending Be:Fit London at the end of this month keep a look out for Nutristrength as they'll be there with their products!